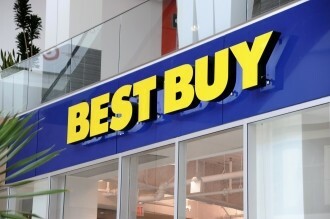 Best Buy has announced that its founder Richard Schulze will be stepping down as chairman following the company’s annual shareholder meeting scheduled for June 21. Schulze will be replaced by Hatim Tyabji, the current chair of the audit committee and chairman and CEO of Bytemobile. In a statement released earlier today, Tyabji said that the story of Best Buy is a remarkable American success story and that Schulze’s leadership and vision helped to change the landscape of American retail. Despite this, however, Schulze’s reputation could likely be tarnished following an investigation of former CEO Brian Dunn. According to CNET, Best Buy hired law firm WilmerHale to investigate the conduct of Dunn. The investigation revealed that he had an “extremely close” personal relationship with a female employee that negatively affected the work environment. This relationship demonstrated poor judgment and a lack of professionalism but the report concluded that he didn’t misuse any company resources. Dunn resigned as CEO on April 10, 2012. Furthermore, the law firm discovered that Schulze found out about the incident in December 2011 but didn’t inform board members. Schulze claims that he confronted Dunn about the matter (which he denied), telling him that it was unacceptable and against company policies. Speaking in a statement today, Schulze said he understands and accepts the findings of the committee. He will remain on the board in an honorary role as chairman emeritus until his term ends in June 2013. The remaining board members will all be declassified, which means they will need to be voted into the position each year.